Congratulations to Binita Hona and Jinlin Zhang, who were awarded Graduate School Finishing Fellowships for Spring 2019. Best of luck to you! 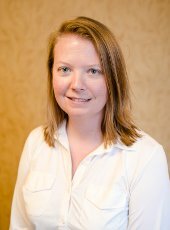 Michigan Tech alumna Heather J. Lewandowski, associate professor, University of Colorado Boulder, is the recipient of the prestigious American Physics Society – Wolff-Reichert Award for Excellence in Advanced Laboratory Instruction. Lewandowski received a bachelor’s of science degree in physics from Michigan Tech in 1997 and was inducted in the Presidential Council of Alumnae (PCA) in 2016. We are happy to announce grad students Chad Brisbois (Physics) and Neel Uday Desai (Atmospheric Sciences) are among the winners for the Doctoral Finishing Fellowship Award. Congratulations! Yoke Khin Yap, professor of physics, has won the 2018 Research Award. It’s a story well ingrained in our collective consciousness—the tale of the scientist laboring long hours for months or even years in dogged pursuit of answers. It’s a story we like to tell because it assures us someday our hard work will pay off. And in Yoke Khin Yap’s case, it certainly has. The professor of physics has pursued a research path that embodies this story of science, taking an idea about certain nanomolecules from mere theory to, very soon, commercialized product. He also won the Bhakta Rath Research Award with student Chee Huei Lee in 2011. 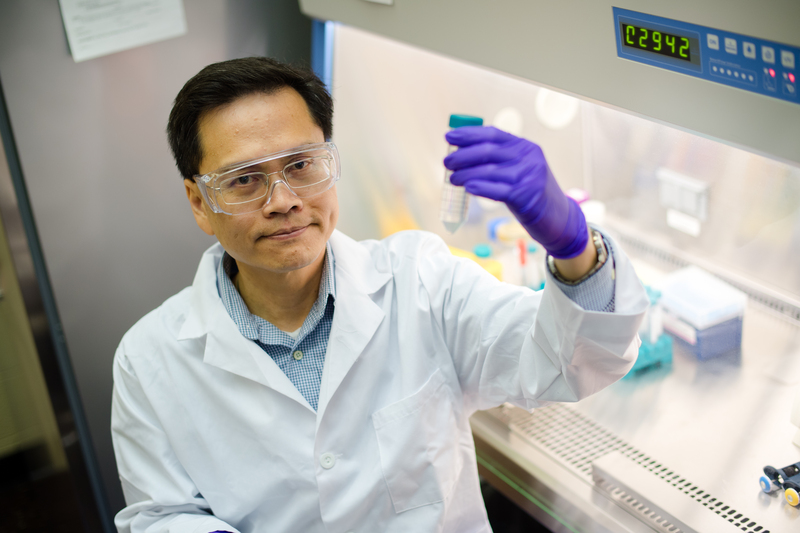 Yap’s contributions to fundamental understanding of boron-carbon-nitrogen nanostructures, the development of transistors without semiconductors and commercialization of high-brightness fluorophores for medical imaging have been honored with his receipt of Michigan Tech’s Research Award. Congratulations to Tyler Capek (advisor: Prof. Claudio Mazzoleni) who was selected to receive the U.S. Department of Energy Office of Science Graduate Student Research award. Congratulations to Connor Hawry and Zackerie Hjorth (both advised by Prof. Yoke Khin Yap), who received Summer Undergraduate Research Fellowships for 2018. Connor will be working on synthesis of small diameter BNNTs for biomedical application and Zackerie on boron nitride nanosheet synthesis for increasing electron mobility of graphene and TMDCs on SiO2 substrates. Congratulations to Janarjan Bhandari (Advisor: Prof. Claudio Mazzoleni), Aeshah Muqri (advisor: Prof. Jae Yong Suh) and Kevin Waters (Prof. Ravindra Pandey), who have received Finishing Fellowships from the Graduate School. Congratulations to Aeshah Muqri (advisor: Jae Yong Suh), who was recognized with an Outstanding Teaching Award, and Meghnath Jaishi (advisor: Ranjit Pati) who was recognized with an Outstanding Scholarship Award. Microanalytical and metrology instrumentation supplier CAMECA held an international competition soliciting images to consider for its 2018 calendar. CAMECA selected a composite image of the new mineral merelaniite by John Jaszczak (Physics) and colleague John Spratt (Natural History Museum, London) as one of the winners, and appears as the highlight for the January 2019 calendar pages. Three startup companies with Michigan Tech roots have been named semi-finalists in this year’s Accelerate Michigan Innovation Competition. 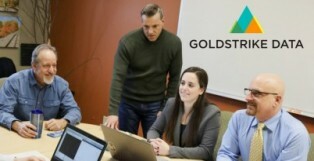 Goldstrike Data, a big data analytics firm founded and headed by Michigan Tech alumna Ashley Kern ’15, was selected as one of 36 semi-finalists, as were StabiLux Biosciences (Novolux Biosciences) and Orbion Space Technology. StabiLux Biosciences( Novolux Biosciences) was founded by Yoke Khin Yap, a professor of physics at Tech, and Orbion Space Technology was founded by L. Brad King, the Ron and Elaine Starr Professor in Space Systems in the Department of Mechanical Engineering-Engineering Mechanics. The semi-finalists are innovative startups from a variety of high-growth sectors including advanced materials, manufacturing, alternative energy, business services, consumer products, information technology, life sciences/healthcare, media, mobility and more. On Nov. 16, 10 finalists will be selected and the winner will be chosen from among the finalists that night at the Detroit Masonic Temple. Since the competition’s inception, participating companies have generated more than 1,000 jobs in Michigan and raised more than $550 million in capital. Each year, the Accelerate Michigan Innovation Competition showcases the startup innovation throughout Michigan and provides startups with the exposure, funding and mentorship they need. The first place company will win $500,000. The total value of all prizes is almost $1 million.